I've read these threads and have a question about getting the vertical faces perpendicular to the base. 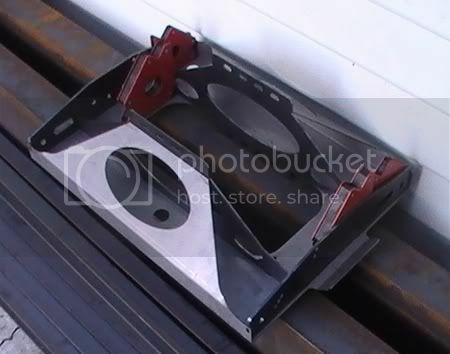 Will using magnetic braces be accurate enough (pic below) if the base is clamped to a flat base or is a firmer hold needed on the vertical faces to prevent distortion when the welds cool? To set the car straight Myself and AusMaddog and Skippy used threaded rod to set everything straight in the middle of the car.